This is our 3rd annual Women of Spirit women's retreat and we are thrilled to be offering it to you in a new location, the lovely Brown County Inn, located in beautiful southern Indiana. The leaves will still be holding all of their autumn brilliance and the quaint town of Nashville is sure to charm you! Join Rev. Normandi Ellis, Amy Auset Rohn, Teresa Vazquez, and Rev. Wendy Sue Wahl for a weekend immersed in the energy of the cosmos, the alignment of planets, self-discovery, and the unveiling of your inner mysteries. Come learn how you can look through the veil to illuminate reality. Working with the energy of current astrology and our own soul's blueprint we learn to be discerning, we learn to accept what is, we learn to hold to our Truth and break through the illusions that keep us from fully becoming our potential. Teresa Vazquez: Dreaming Across Space and Time: This is an interactive workshop with the purpose of using dreams, dream journeys and the synchronicities of daily life to break through our conventional constructs of time and space. We will learn about and practice Lightning Dreamwork (a fun, fast and profound way to process dreams), discuss the many types of dreams that go beyond space and time, and embark on our own time/space-jumping lucid dream journey with the aid of the shaman’s drum. Registration is now open....until October 20, 2017! You don't want to miss this one!!!! ** Please contact the Brown County Inn at 1-800-772-5249 and let them know you are with the Women of Spirit retreat to get your discounted room rate! Our unique code is 5124. Rooms are double occupancy or single as desired...please confirm with hotel when you make your reservation! A detailed itinerary will be sent to you via email closer to the event! 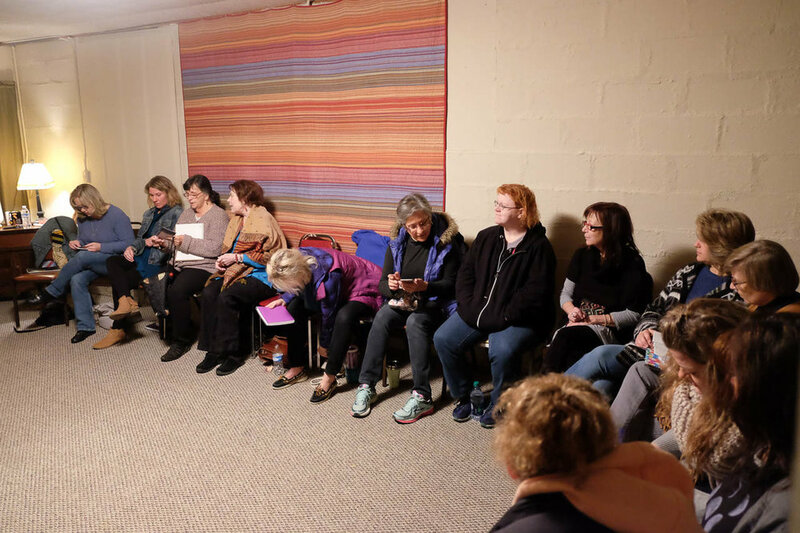 We have time slots open for exploring the shops in Nashville or you can use it as quiet time or sign up for a private session with one of the presenters. We are so excited to have you join us! It will be a weekend to remember! Use your PayPal account or any credit/debit card here...it's fast and easy! If you prefer to pay via check please email amyausetrohn@gmail.com for details on where to send. See you soon! Enter the mysteries of YOU....your destiny awaits!